Day 4 of the challenge. Nearly there now! I didn’t go to bed too hungry last night, as I had a slice of bread not long before. I was SO tired though and was in bed way before hubby; I was freezing too so went to get little man out of his bed to snuggle as he radiates heat! No waking in the middle of the night either, and I wasn’t very hungry when I woke up – I think I’m getting used to the hunger now as I haven’t actually felt it much today. I have been shattered though. I also cannot stress enough, just how sad I feel that I don’t have to do this permanently, when so many do. To be honest, I wasn’t in much of a rush for this, this morning, as like I said above I didn’t feel that hungry. It still satisfied me though. 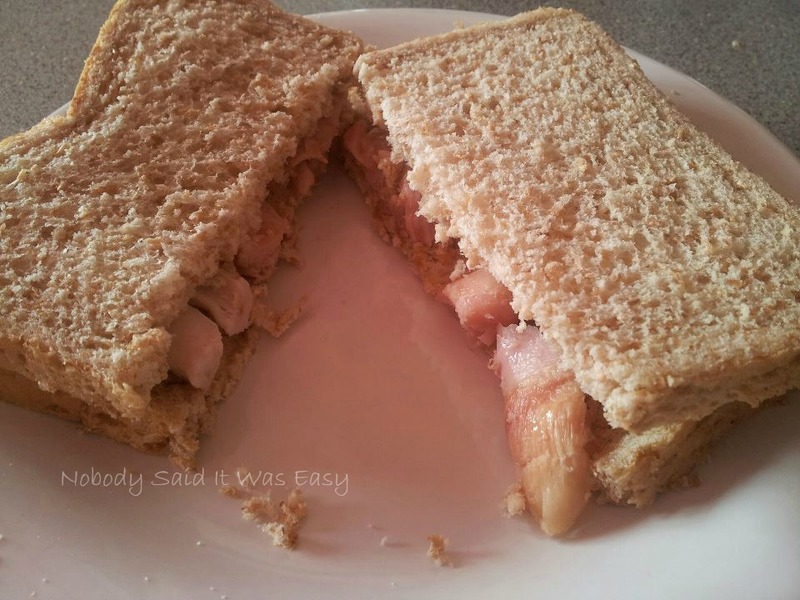 Fancied something different today other than cheese spread, so decided to have some chicken. Bit strange without any butter though, plus the chicken kept falling out! I’m out of tomatoes now, and I’m saving the rest of my curry sauce until tomorrow! 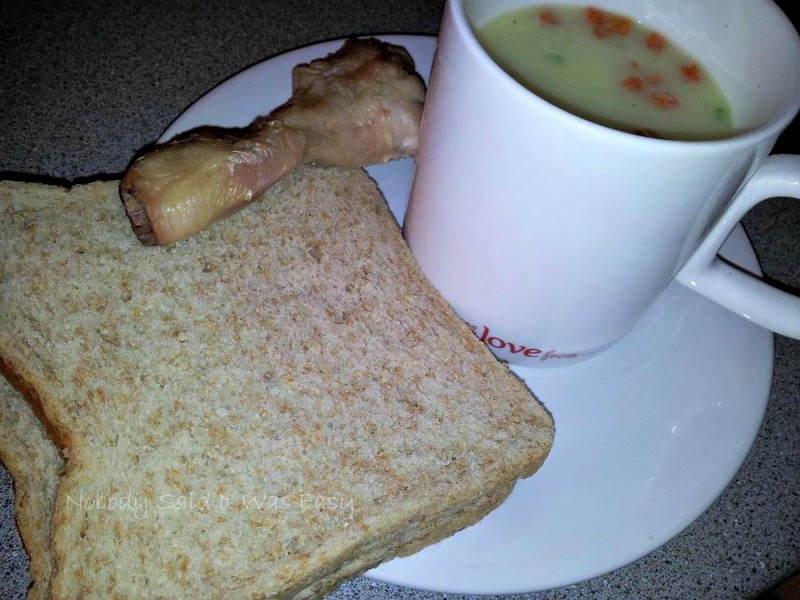 So it was a cup soup for dinner today, with some bread, and some chicken to add a bit more protein and bulk it out. 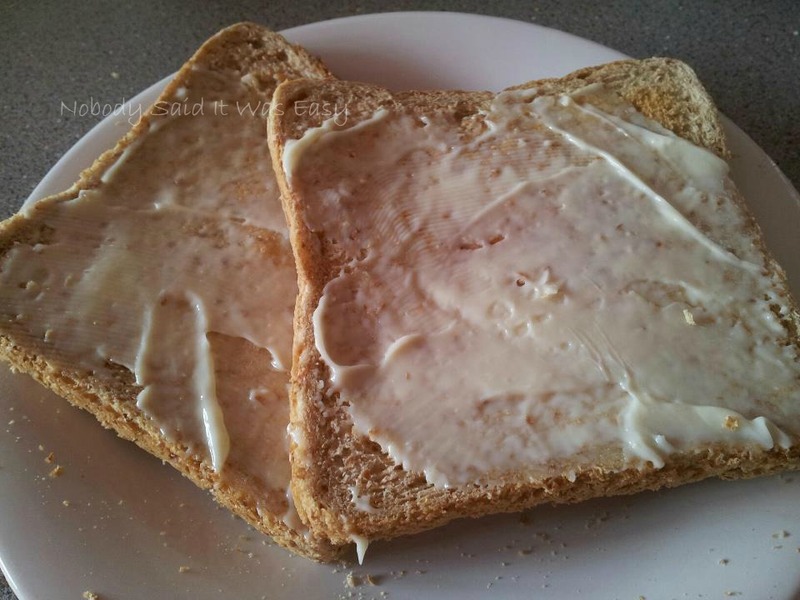 I haven’t had a snack today, if I do it’ll probably be a slice of cheese spread on toast, or a piece of chicken (and I’ll update this post with the new total). ← Do I have prenatal depression?